Sure, the sun may be out and the skies may be clear now, but for those who were up earlier this morning, it was the second day in a row that foggy blanket came over the city. 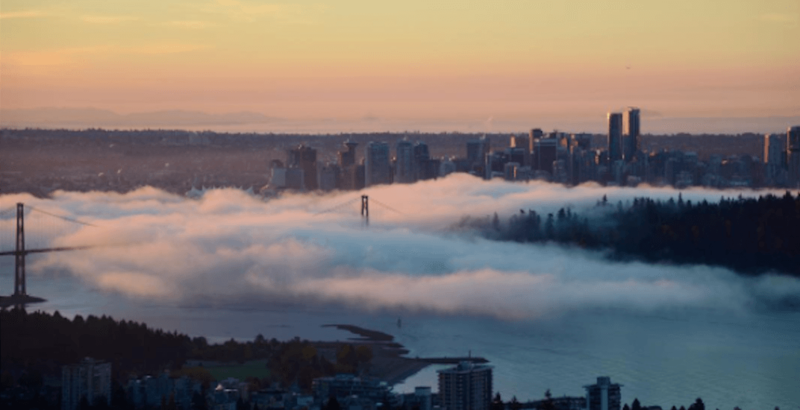 And while the fog has all but burned off in Metro Vancouver, many people took a moment to capture Fogcouver at its finest and share their shots on social media. So in case you missed it, your phone was dead, or you weren’t up early enough, here are some photos of Friday morning’s fog in our city. Early morning in Vancouver. I love this city!